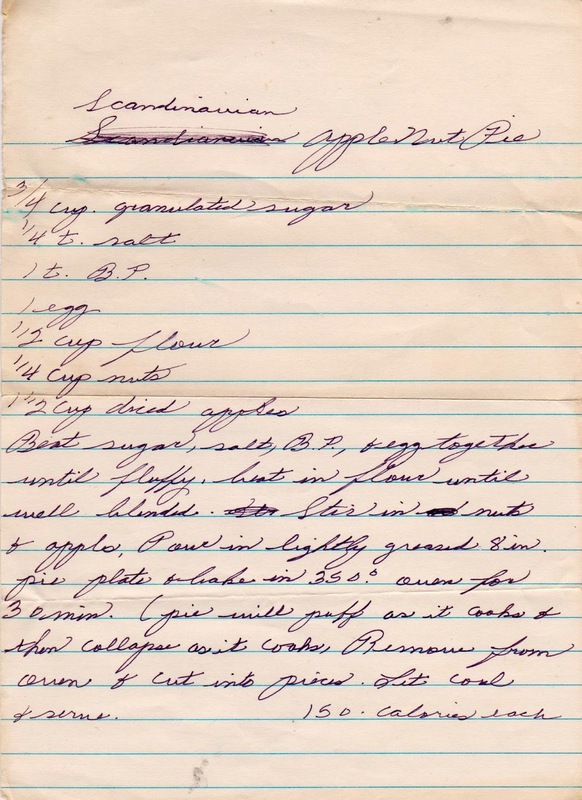 There are several things to recommend this unusual pie (also called Magic Apple Pie): It is a one-bowl dessert, the "crust" forms on its own while baking, it contains no butter (if that's your thing), it is an excellent use for the season's surfeit of apples and ... drum roll here...each slice is only 150 calories! At least according to the vintage handwritten recipe. It is not a pie in the traditional sense, i.e., the filling is not placed into a pastry crust. Instead, all of the ingredients are mixed together in a single bowl and poured into a greased pie pan. 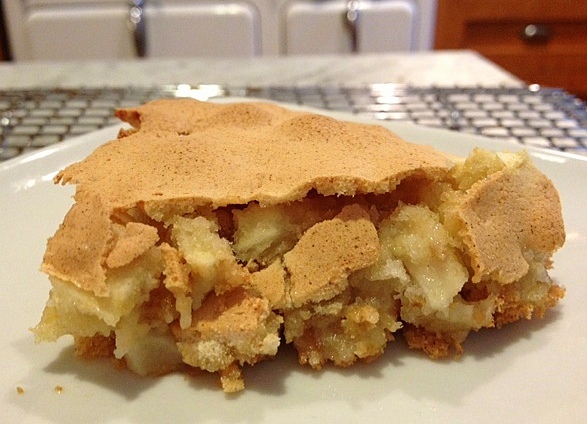 But it is served like a pie, and is light, almost meringue-y, and delicious. And can be consumed without guilt. 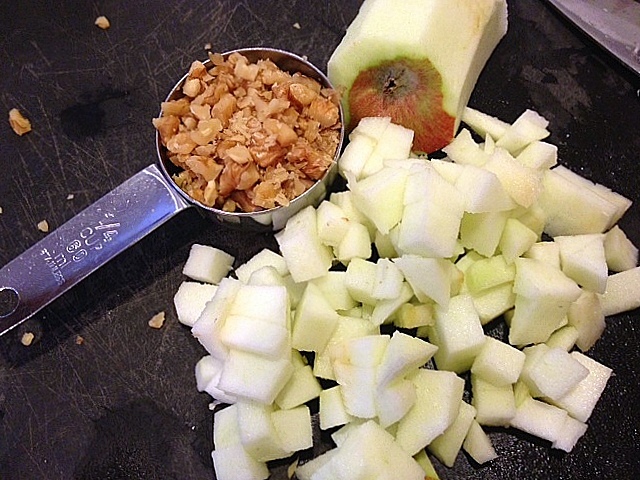 Start by chopping the apples and nuts. 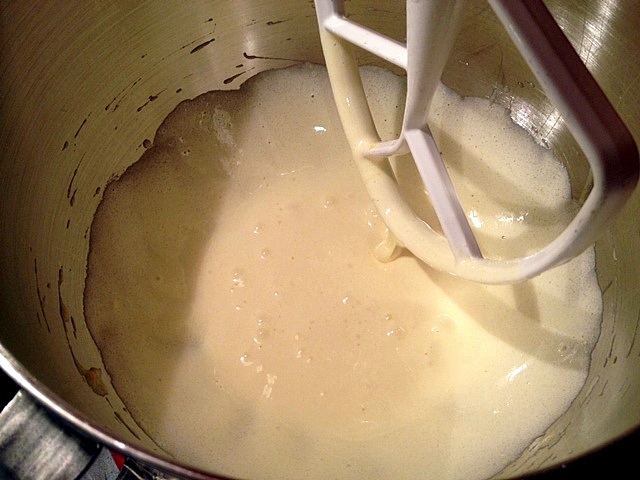 Next, mix the sugar, salt, egg and baking powder together. Then add in the flour. 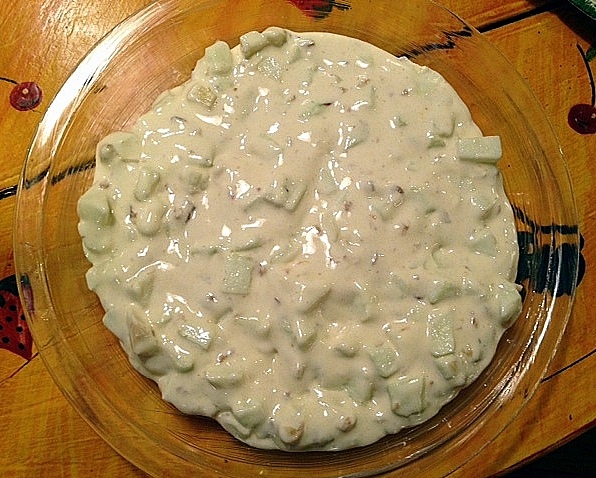 Stir in the apples and nuts, pour into a pie pan and bake. 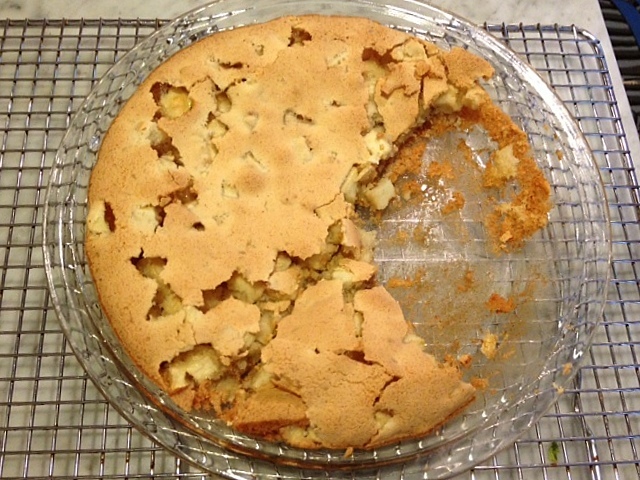 This recipe sounds a lot like a British apple "pie" dessert we enjoyed years ago. Looking forward to trying it! I have made this twice since I saw the post. So easy and so good and moist! The last time, I tried 1 apple and 1 pear. Yum. 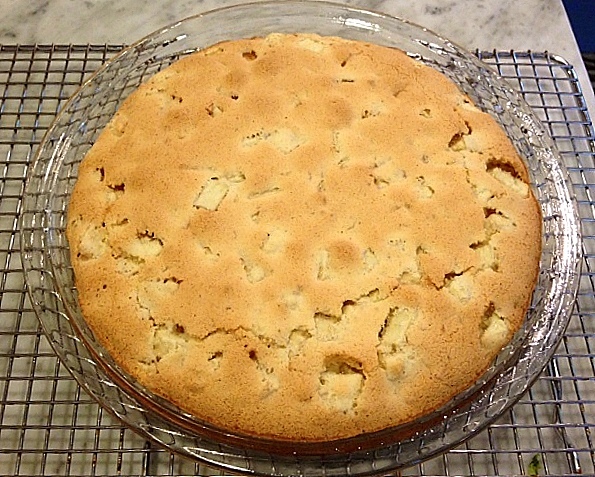 Took one to work and everyone wanted your recipe, so gave them this link. I will make this often. May try some other fruits.